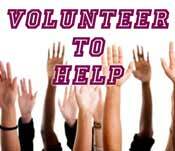 We have many opportunities for you to volunteer your time to help our players. You may choose to be a Buddy, assisting and protecting the players during a game, or you may volunteer to be a Coach, Assistant Coach, or Team Mom or Team Dad. Registration for the Spring, 2019 season is open! Buddies are needed at every game. We would rather have too many than not enough. Please feel free to come to any or all of the games to be a buddy. Registration for the Spring, 2019 season is open! Join with us in celebrating our 15th year as the Mauldin Miracle League! Click on the baseball above to register! Please join us in thanking our Mauldin Miracle League partners below. These generous companies, organizations and individuals are the driving force that makes this baseball league possible. We sincerely appreciate their dedication in helping us fulfill our mission: "Every Child Deserves a Chance to Play Baseball." And a special thanks to our individual donors and our wonderful volunteer Coaches, Team Parents, League Volunteers and Board Members. None of this would be possible without you! If we were to tell you about an organized youth baseball league...you might call it ordinary. If we were to tell you the athletes have physical & developmental challenges... you might call it touching. If you were to see them play...you would call it A MIRACLE! All games are played at Sunset Park on Fowler Circle in Mauldin. Please remember the Mauldin Miracle League for your tax deductible charitable donations. We're an all volunteer organization and almost 100% of all donations go directly to benefit the children. We thank you for your generous support. MML operates solely on donations from both private and public parties. Mauldin Miracle League is a non-profit 501(c)3 organization and all donations are tax deductible. The All Stars still play even if it rains. The alternate location is the Ray Hopkins Senior Center at 203 Corn Road, Greenville. It is located just off E. Butler Road, across the road south of Mauldin High. Rain days are all play games. Arrive any time between 10 am and noon and play as long as you like.